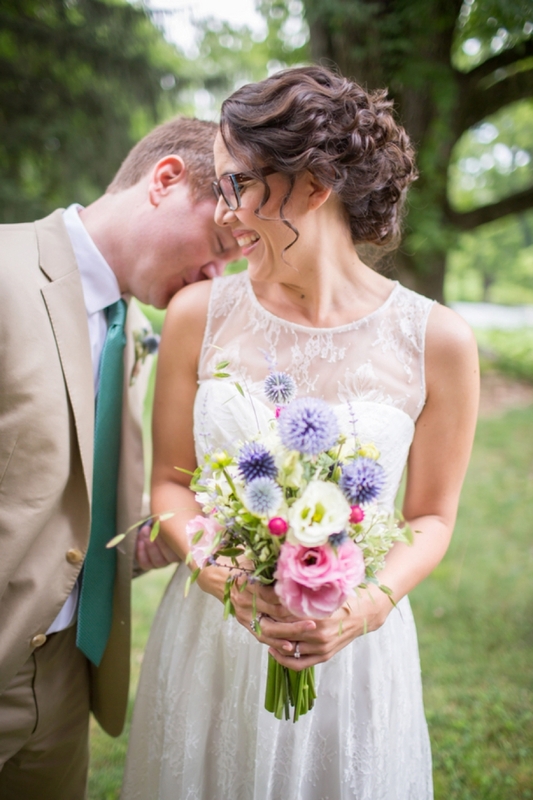 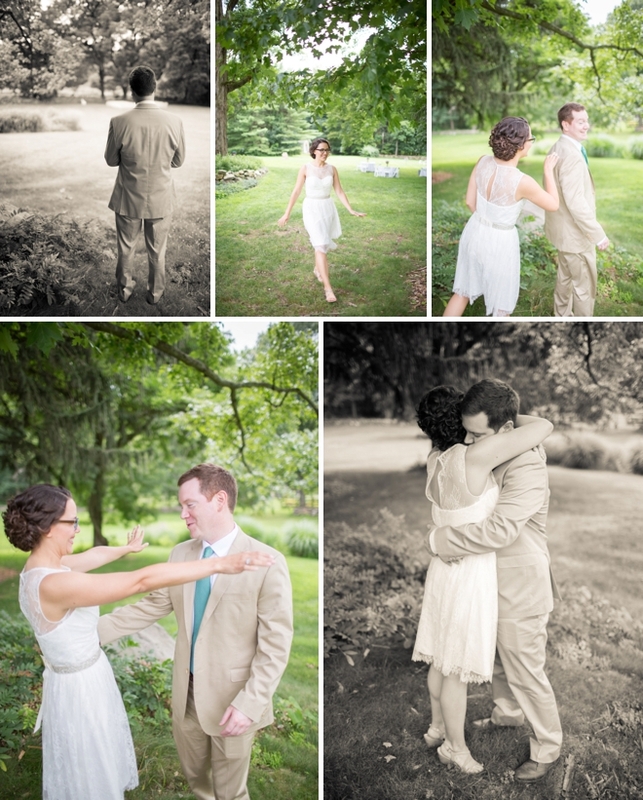 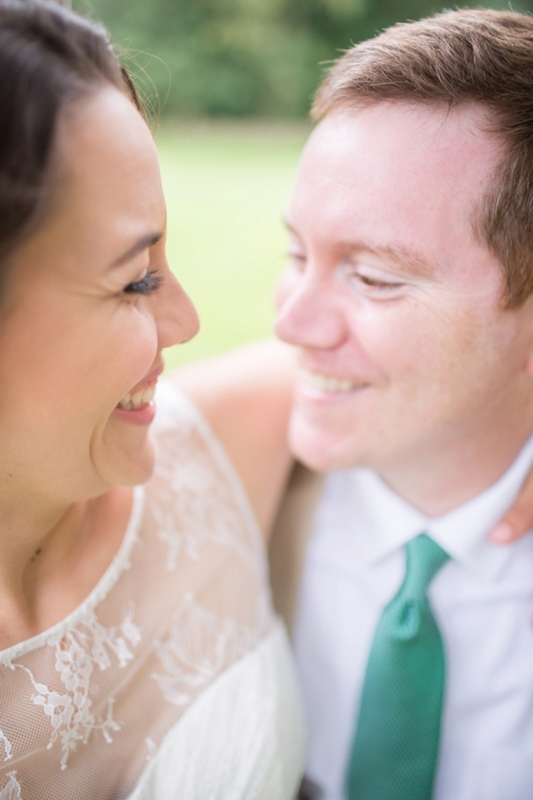 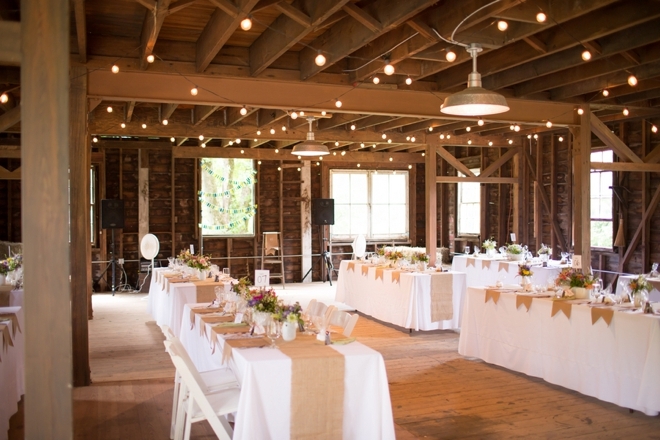 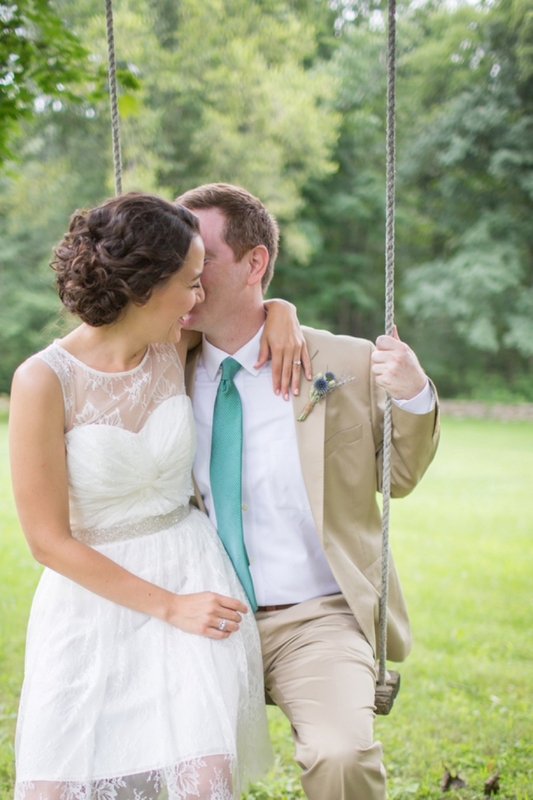 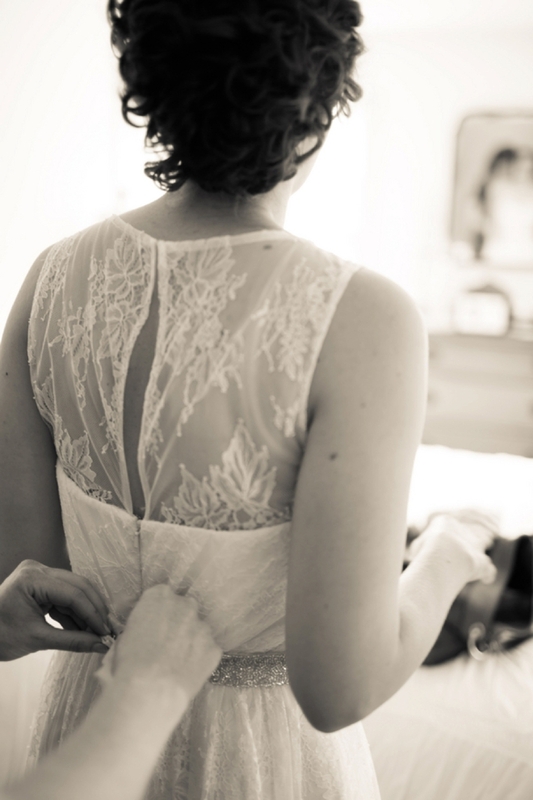 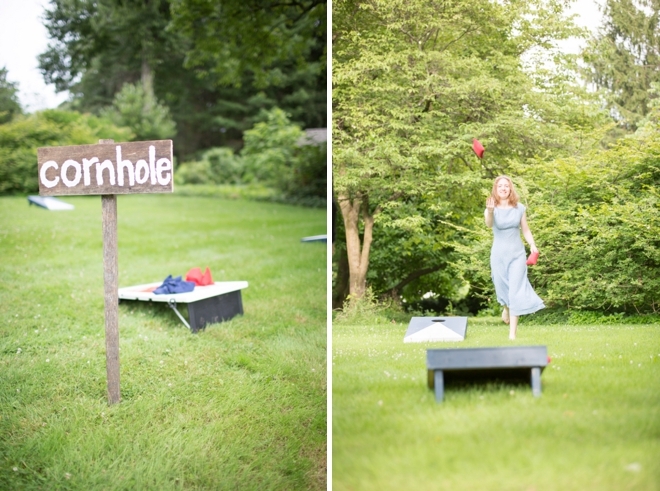 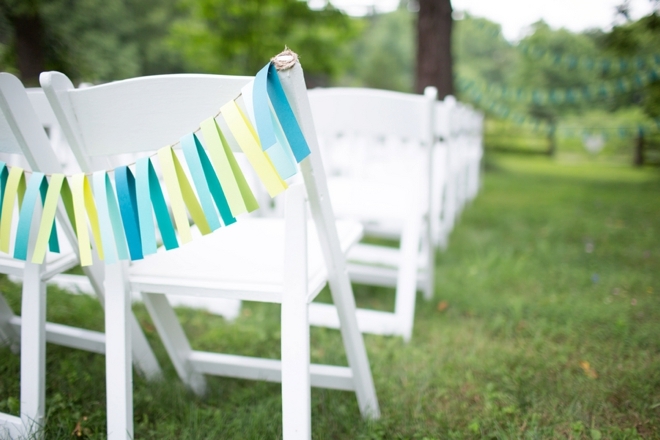 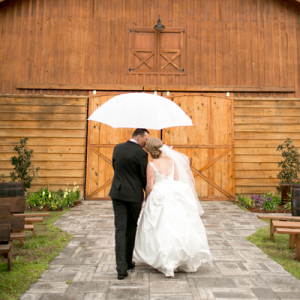 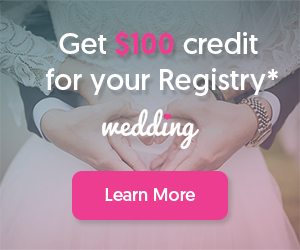 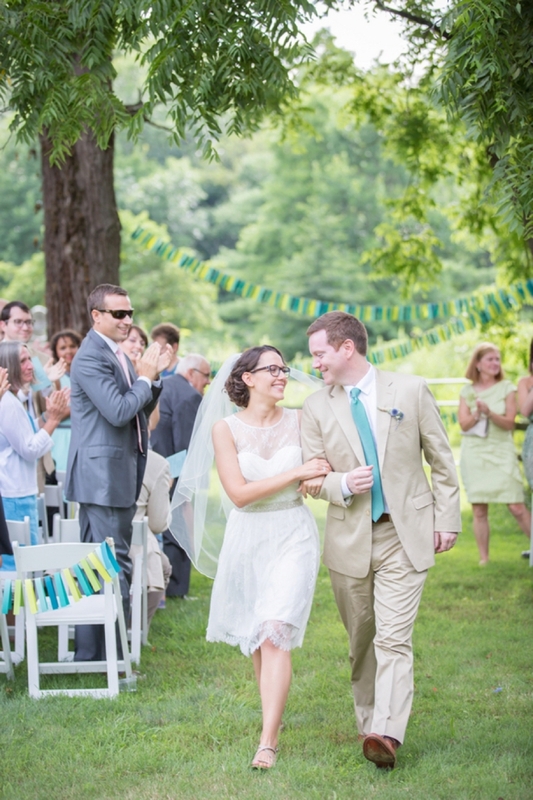 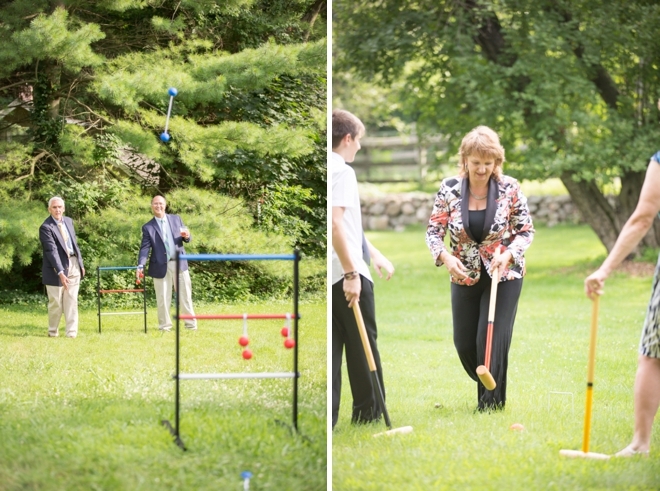 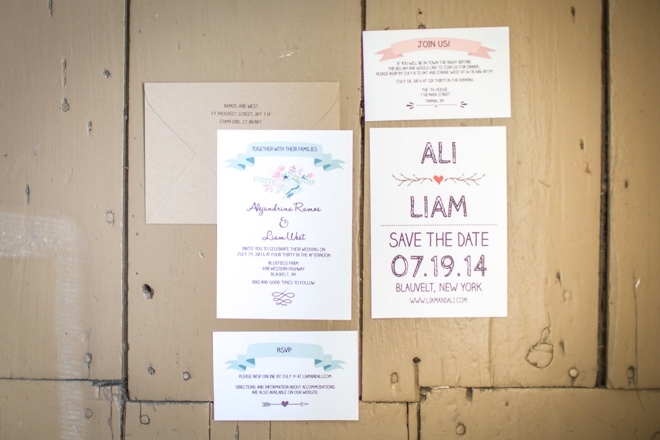 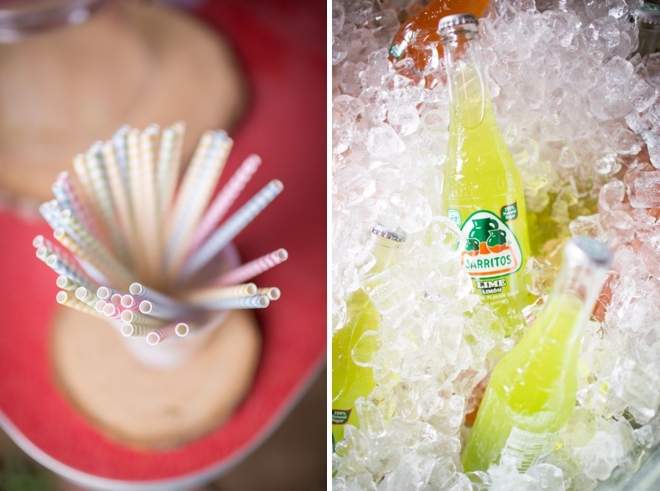 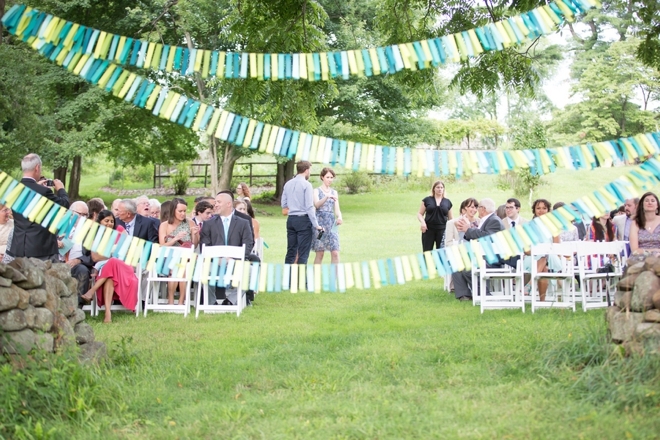 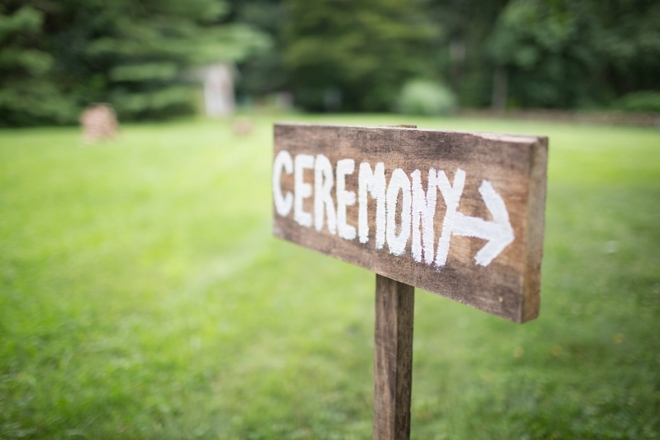 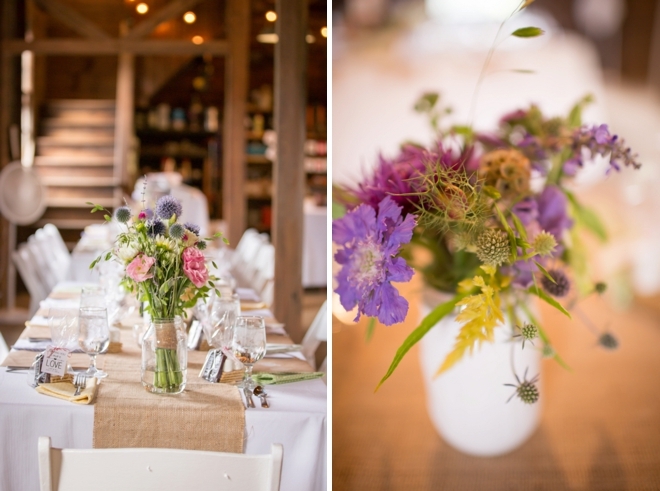 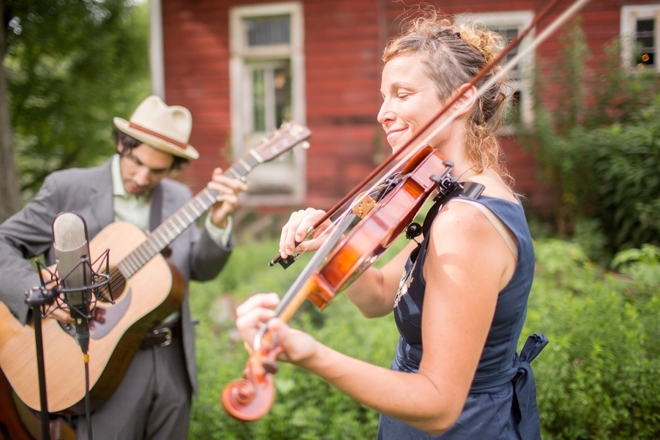 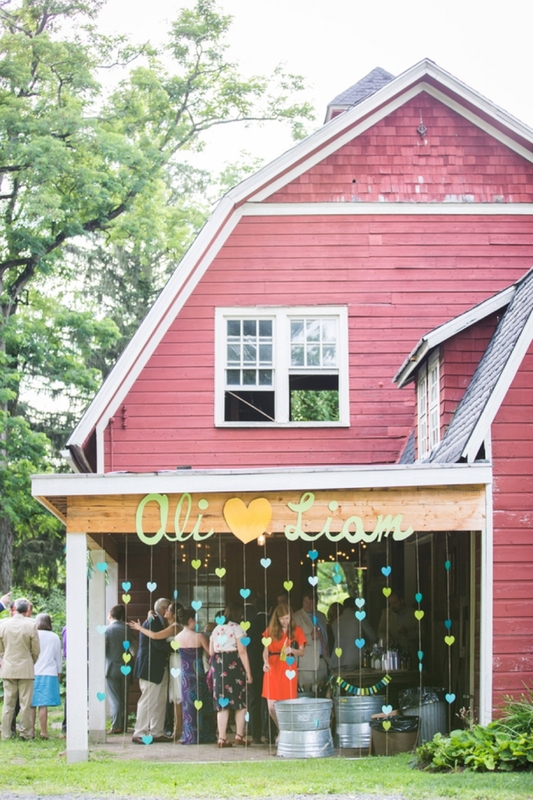 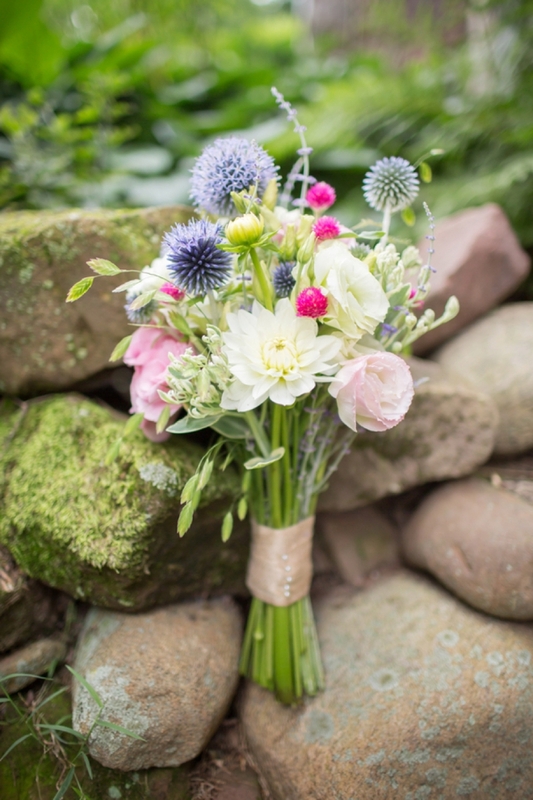 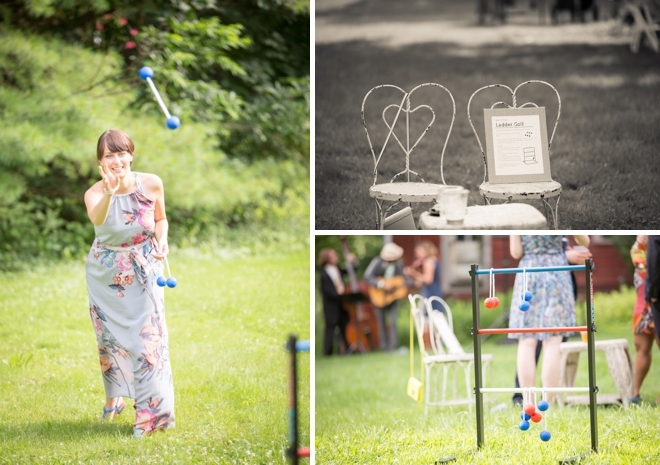 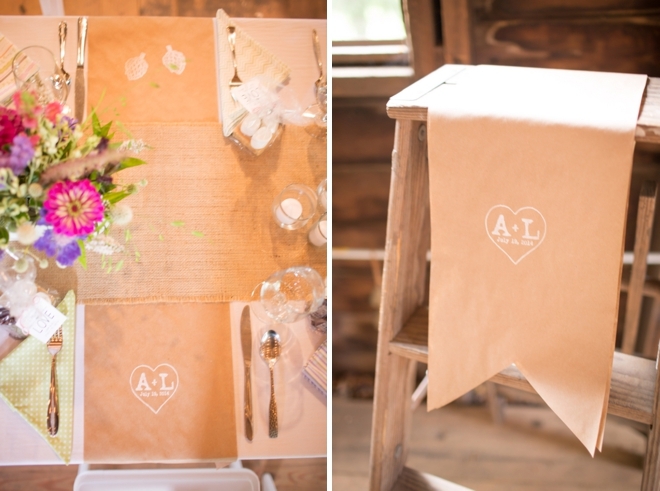 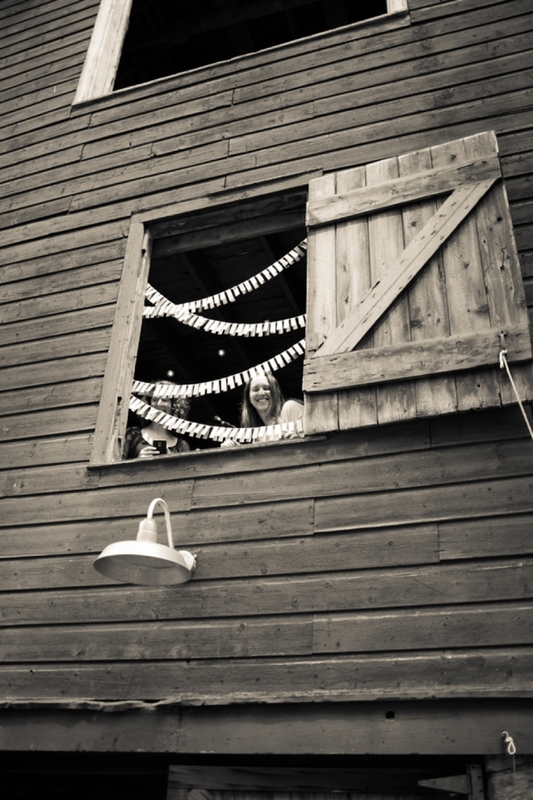 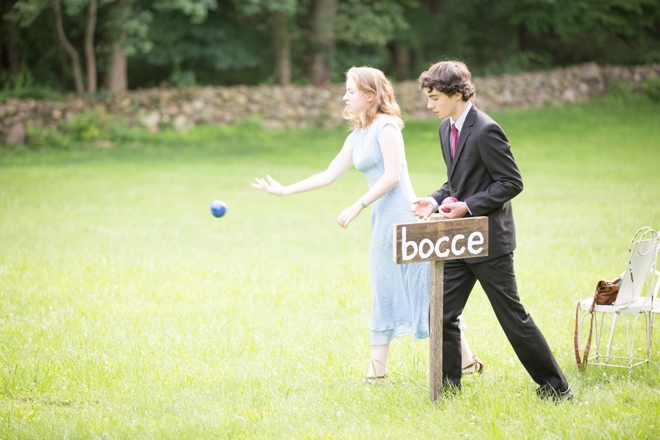 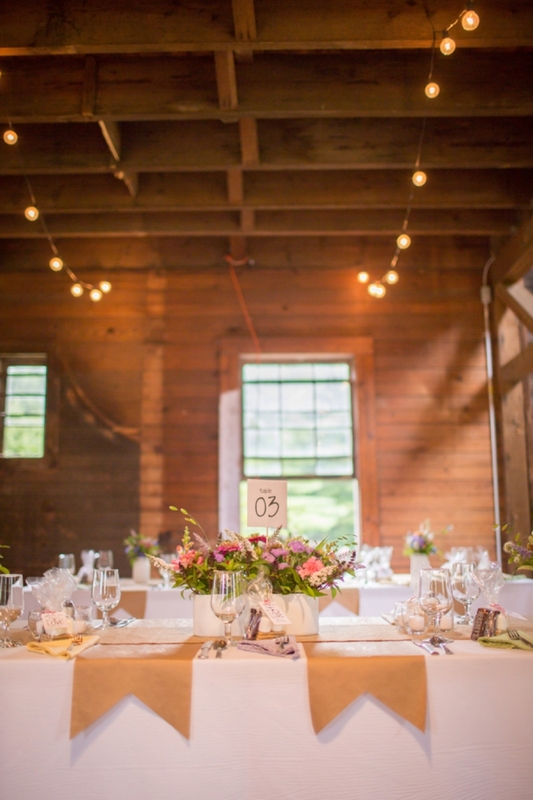 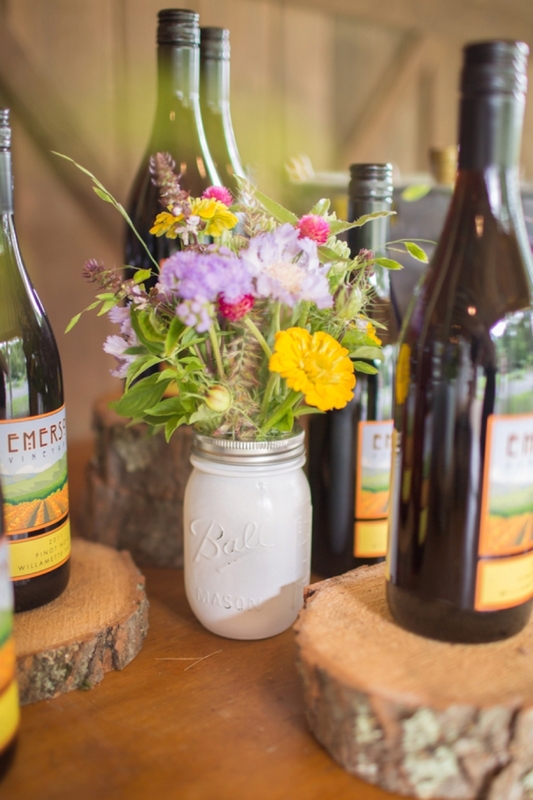 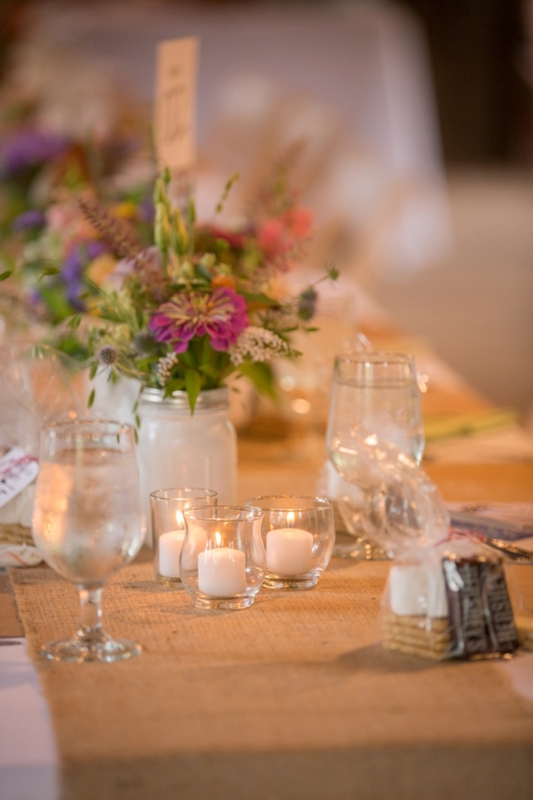 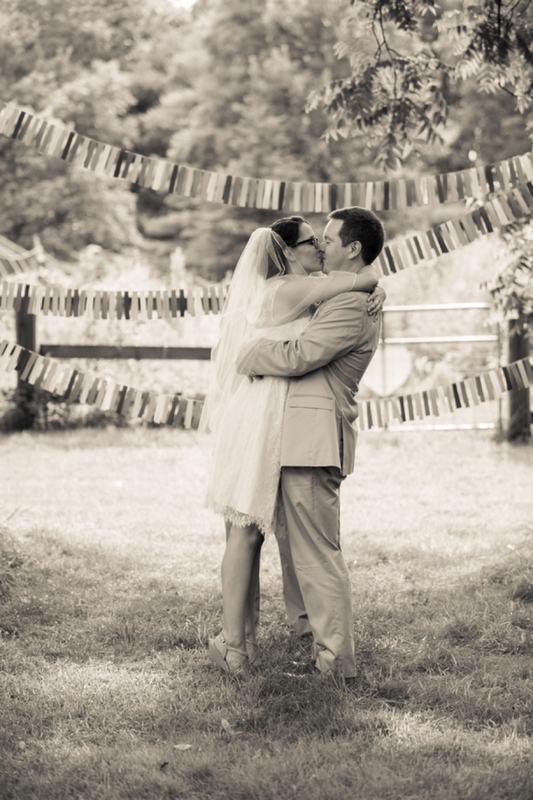 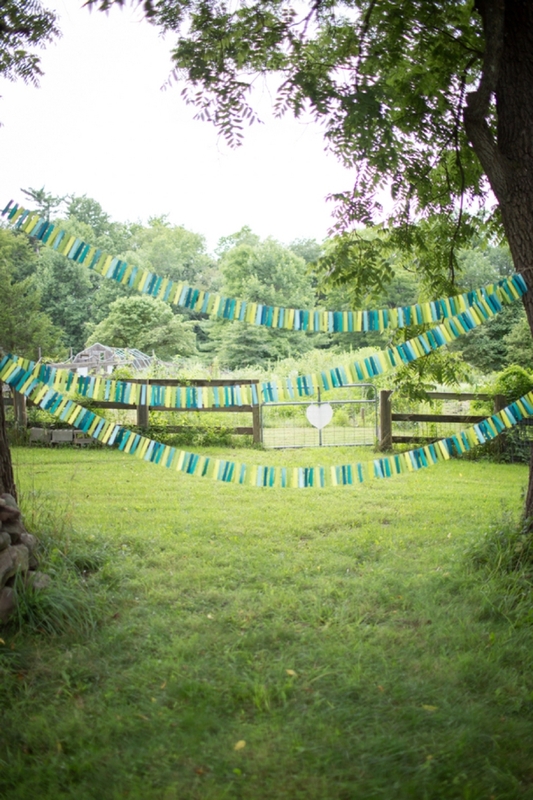 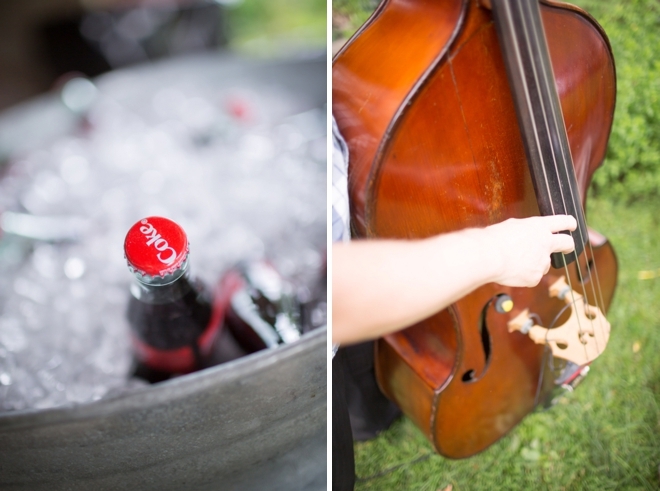 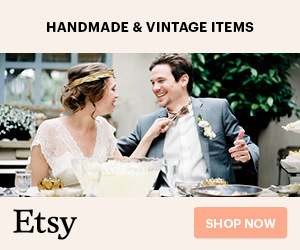 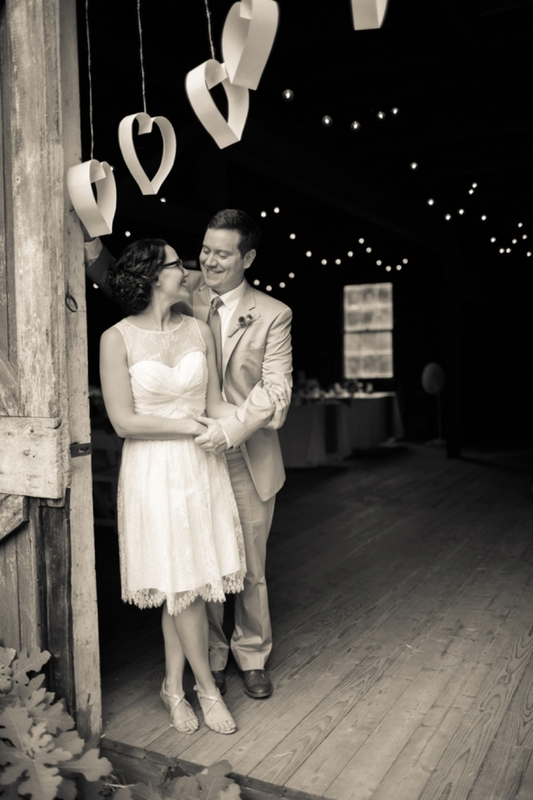 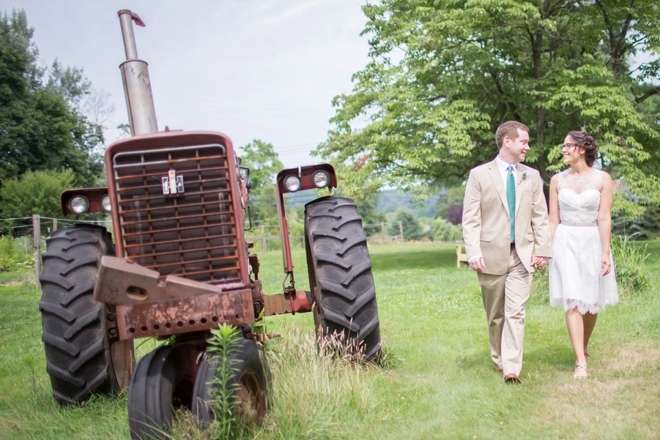 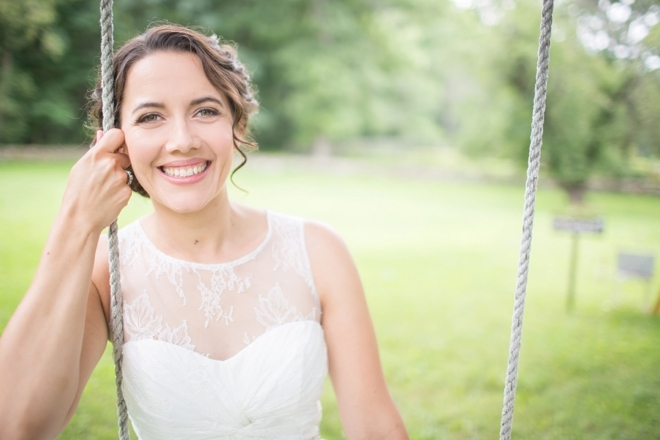 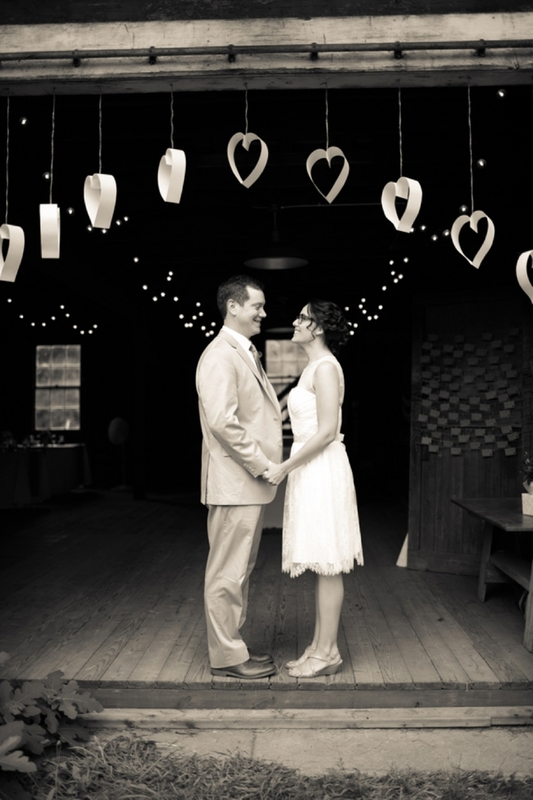 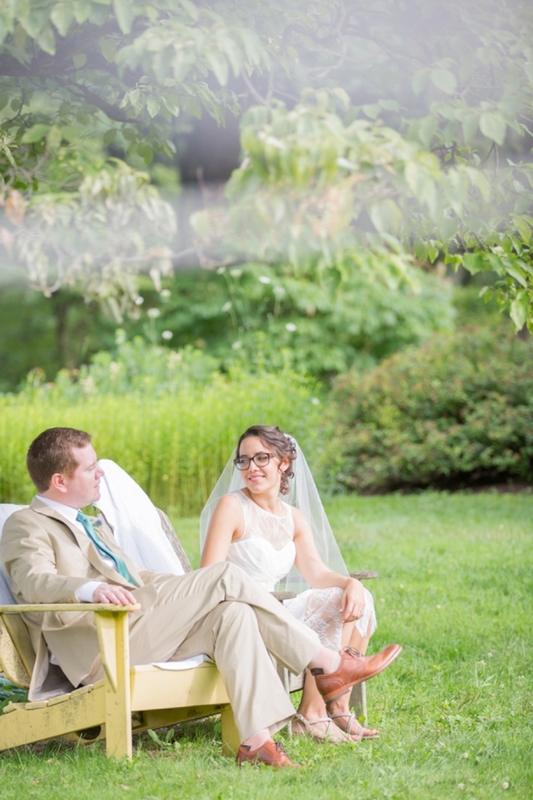 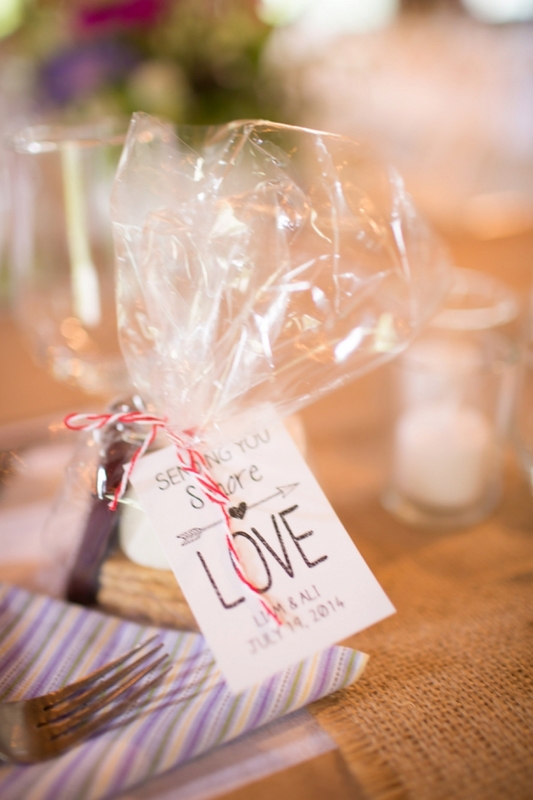 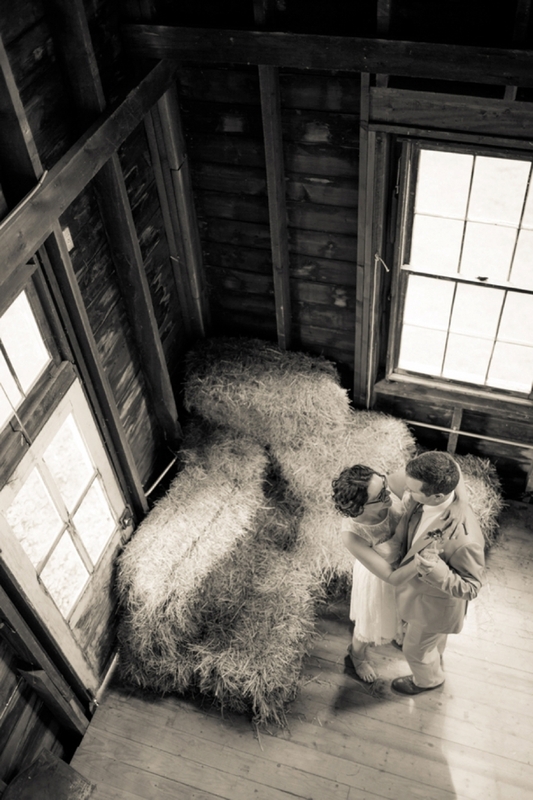 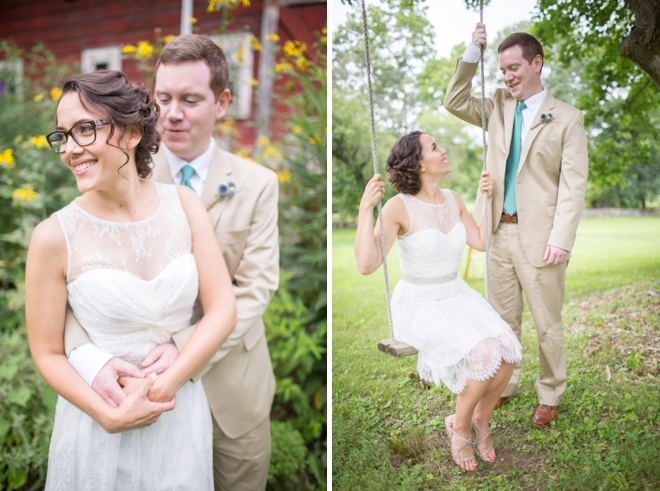 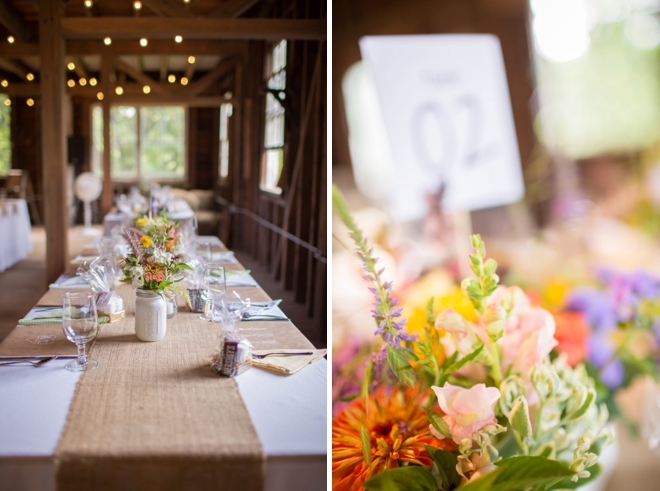 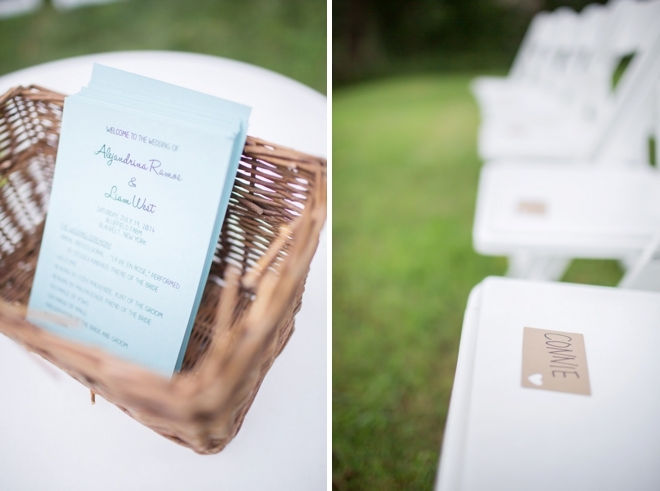 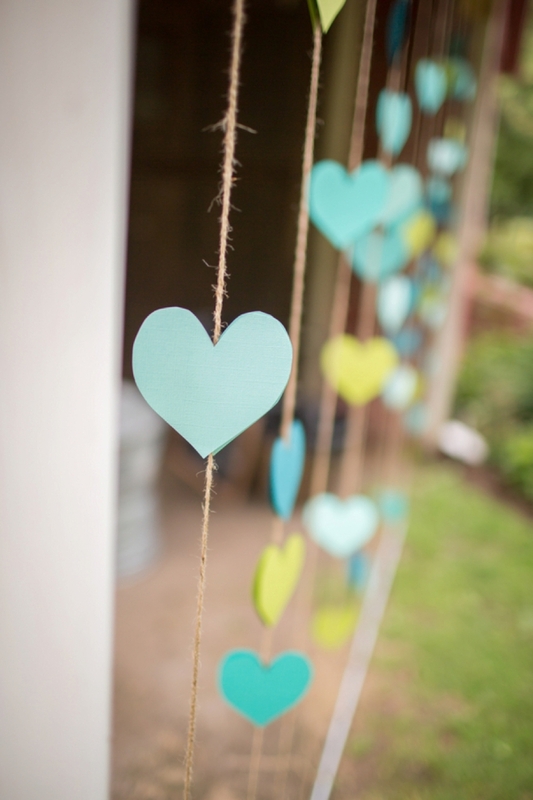 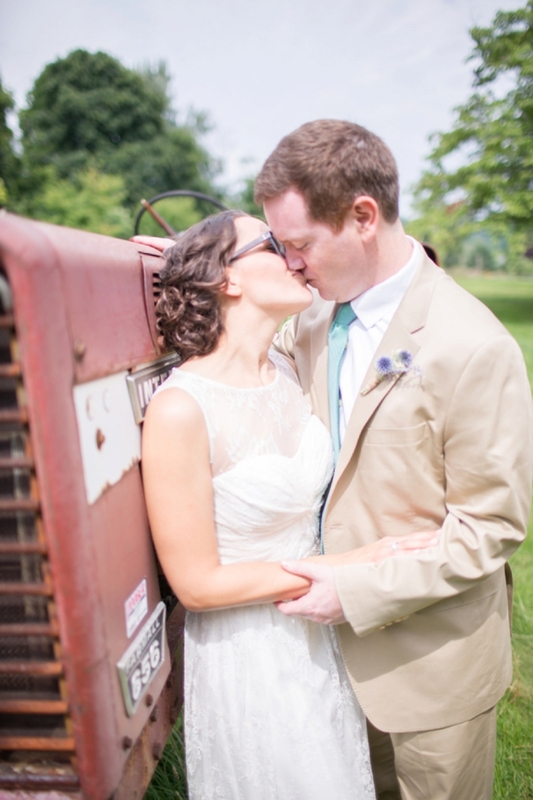 Liam + Ali had a gorgeous, DIY barn wedding! 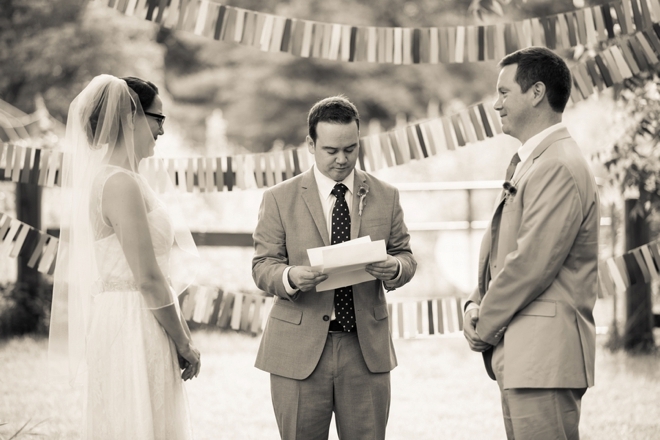 My favorite part of the wedding was the ceremony itself. 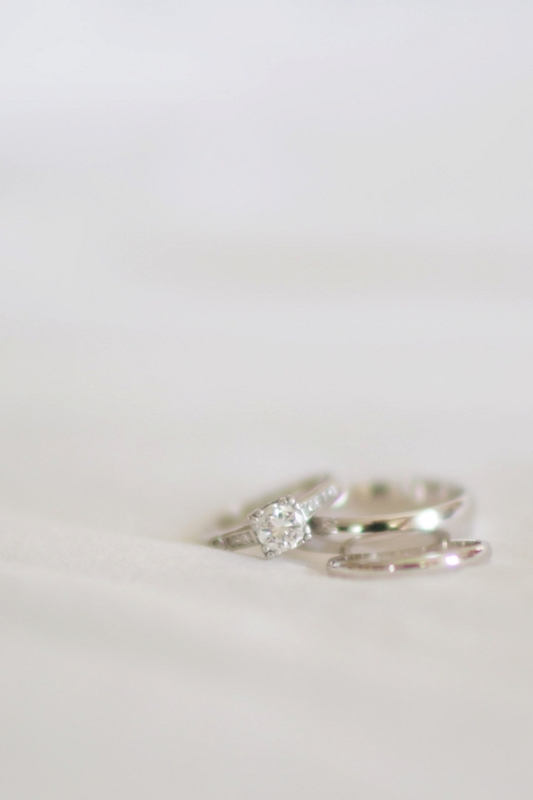 It was short and sweet, but really meaningful to us. 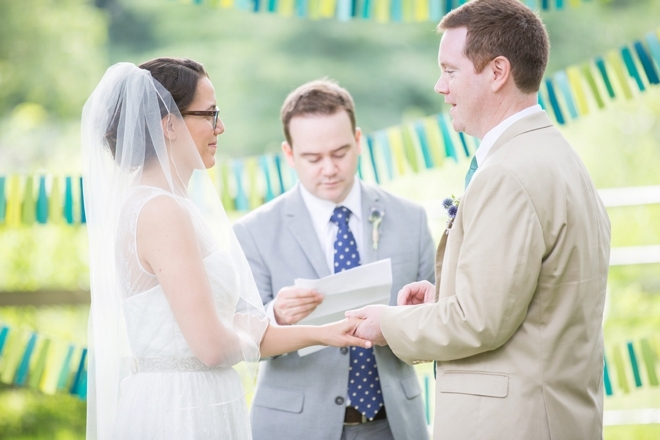 My husband’s brother officiated, one of my best friends sang as I walked down the aisle, and we wrote our own vows and designed the whole ceremony ourselves. 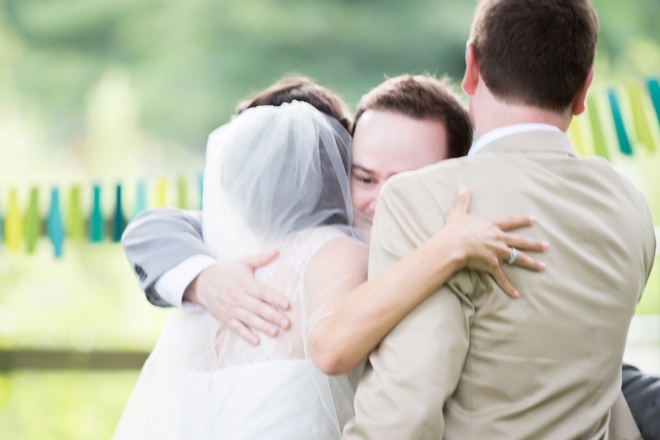 It was such a special thing to have all of our loved ones experience such a personal moment with us. 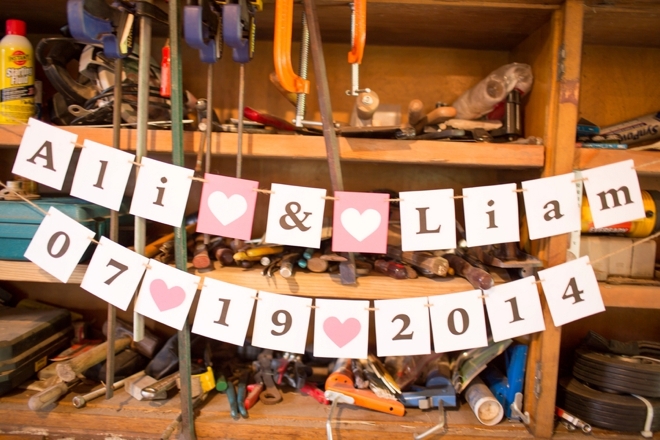 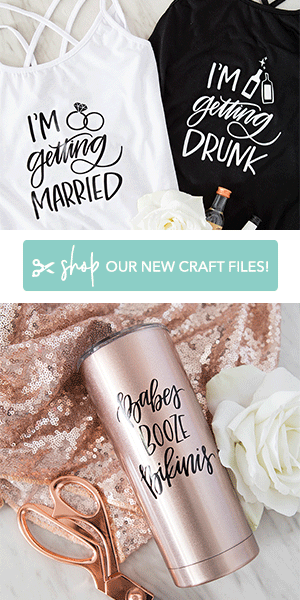 My friends and family and I made a ton of stuff for the wedding! 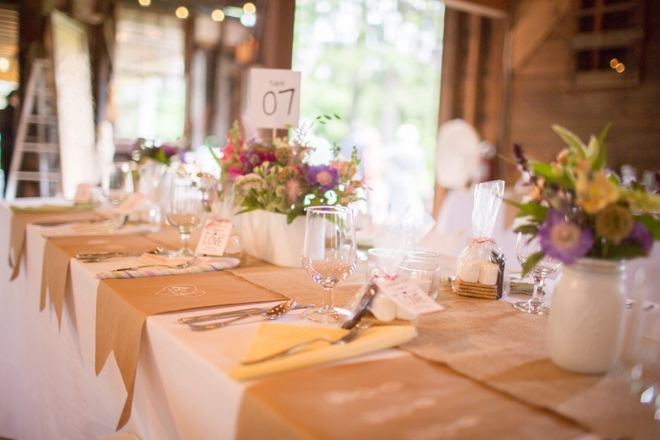 My aunt sewed all the cloth napkins from cute fabrics we picked out together and collected all the silverware from second hand shops; my friend Jessica (a fellow teacher) made all the garland, the beautiful kraft paper place settings (we ordered the stamps from an Etsy shop), the strings of hearts, and the adorable Liam and Ali sign; my friend Diana made our dessert, which was strawberry shortcake and lemon squares; my uncle John made the wooden lawn games signs and cut the wood slices for the cocktail tables; my mother and my husband’s mother both helped arrange the flowers (under the watchful eye of Joy from Bluefield Farm); and so many other people also contributed in various ways. 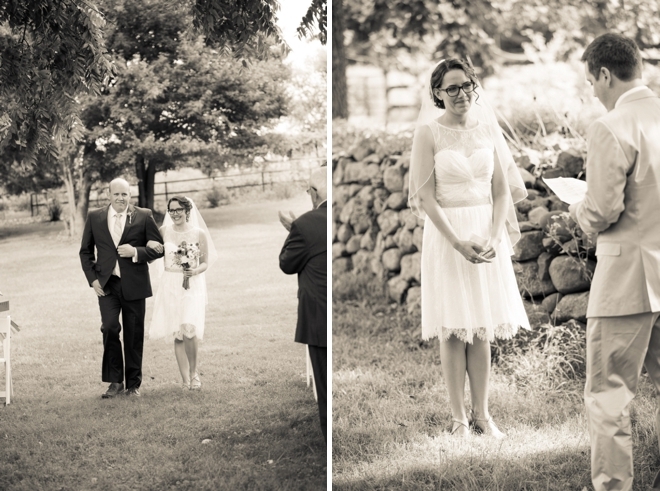 It was a real team effort.